Learn how to search for government information, statistics, and more information about Muskingum's government documents. 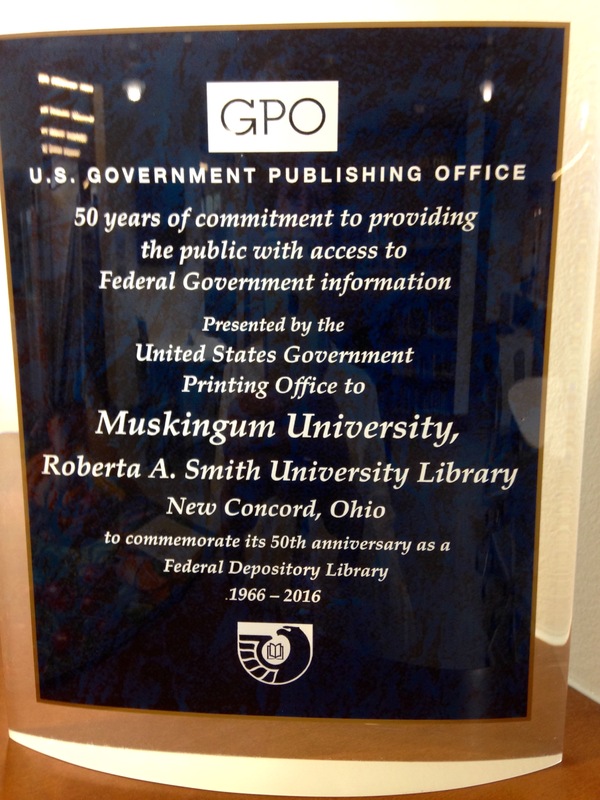 Muskingum University, Roberta A. Smith University Library provides free access to Government Information in all formats to the public and the university community. The government document collection can be located in our online catalog OPAL. Patrons are able to browse the collection upon request. On February 11, 1966, the Muskingum College Library was designated as a Federal Depository Library. Welcome to Muskingum University, Roberta A. Smith University Library's Government Information guide. To get started review the About MU GovDocs tab. The Basic Government Collection tab provides quick links to all the basic collections web-pages. For additional resources use the blue tabs depending on the nature of the information you seek. If you require additional assistance, please feel free to contact a librarian using one of our embedded chat boxes or calling x8157. Basic Collection Titles: These titles are vital sources of information that support the public's right to know about the workings and essential activities of the Federal Government.